Barton is committed to improving student learning whenever and wherever it occurs. serves to improve student learning. is comprehensive and based upon the values reflected in the mission of the College. involves a variety of assessment methods. is a systematic and continuous process for gathering and using information about student learning. confirms the attainment of students' goals and objectives for their respective courses, programs, and degrees. is integrated as part of the culture at Barton. is supported through on-going training and budgeting processes. 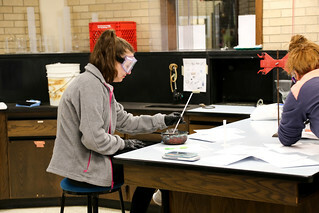 Student Learning takes place throughout Barton. It is what we are about. 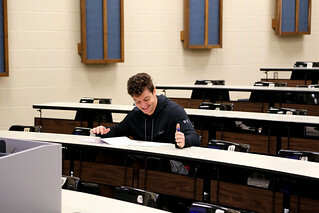 Whether it be in the classroom, at a social event, or as a part of the Barton experience, learning is assessed to ensure we are meeting our responsibilities. Learn more about where and how we assess learning. Barton does not just want to collect data; we want to utilize data to achieve measurable improvement in student learning. We strive to close the gap between what is taught and what is learned. Published and made available to our various stakeholders, these reports are accessible for review as evidence of student learning. With faculty members across the country, we want all instructors to feel involved and have the same opportunity for professional development regardless of where teaching occurs. As resources and training videos become available, they will be made accessible. The staff and faculty at Barton are continually working to improve. They are interested in knowing how their students learn and how to improve their teaching methods. What instructors learn about their students and how well they learn the material will affect how the information is presented to the next class and the one after that in a continuous cycle of improvement.